Centerwood, a two story log cabin located in the heart of the Village of Pinehurst is truly the area's most enchanting property. Built at the turn of the century and charmingly updated prior to the Depression, the cottage represents a genuine piece of Pinehurst's history. 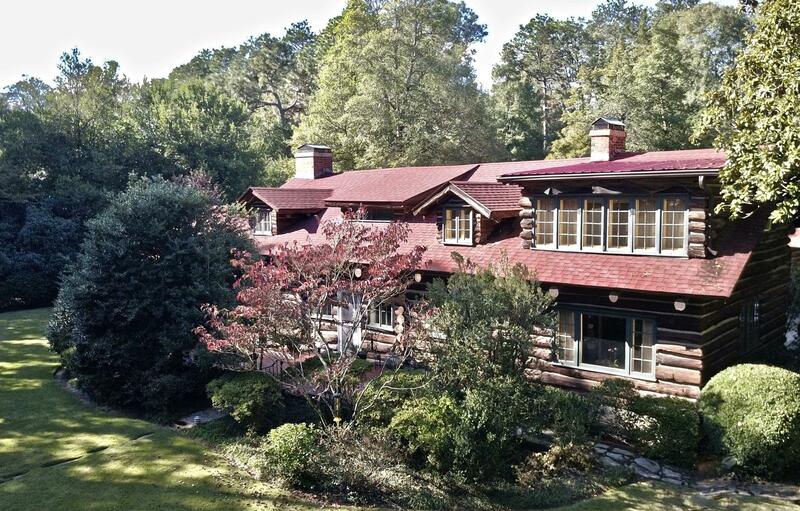 Nestled privately on an exceptionally landscaped 1.3 acres, Centerwood retains it's character with original hardwood floors, log walls, beamed ceilings, 4 fireplaces, two story entry hall and living room exhibiting charm in every detail. French doors from the living room open to a backyard terrace overlooking a lovely pool and garden house. A complete perimeter pathway through the gardens is breathtaking. The garage has a guest apartment with full bath. The property is unmatched in unique quality and appeal.